How Am I Going To Finish All These Projects? 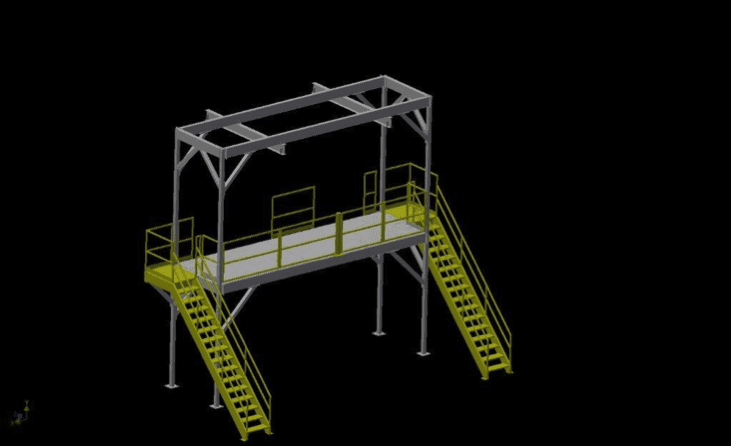 Access platforms, stairs, overall safety equipment, and compliance with OSHA standards, truly enhances the convenience of working with a top-notch design and fabrication team. Your boss thinks dropping more projects on your plate is like eating ice cream; there is always room for more. I get that. After looking at the pile of unfinished projects, perhaps you are wondering; “How am I going to get it all done?” For you, working with a company that performs its own design, fabrication, and installation services, and one that values protecting it’s customers best interest by utilizing safety equipment, means more projects done in less time. It also means fewer headaches, and lower cost. One call, one purchase order, that’s it. Problem solved. We are living in a crazy, fast-paced world these days. A lean management staff absent of an engineering group just makes matters worse for you. Outsourcing your design, fabrication and installation requirements and not having the internal resources to procure a formal bid package means you need to find a contractor that can think on its feet. That’s why we are here. It’s our niche. GSM will work with you from scratch, develop concepts, and solve your fabrication and installation challenges: safely. Once I was asked to sum up what GSM does in one sentence. I struggled, thinking the answer was going to be a run-on sentence. I thought about what GSM’s host of repeat customers value the most, and the answer to the question became rather apparent. “GSM makes your problems go away.” Not the kind of problems that involve atomic fusion or working with the Hadron Collider. No, I’m talking about practical challenges like custom-design and installation of safe access platforms and stairways that meets current OSHA standards. Next time you feel beat like a rented mule because you just don’t have the time or resources available, call on GSM. We can help make your problems go away. That’s what you get out of this deal. Contact us today to help get you started! Call us at 717.207.8985, Monday – Friday, 8:30am – 4:30pm ET.